Hello or should I say G’day! No, as Grant Charlesworth mentions in his entertaining and informative Blog this week, let the Australian’s say G’day, and other things to say and…not…say when in Australia. He adds four other important things of which to take note! Grant and his family offer great small group tours around Sydney, New South Wales, and other places in Australia. The company is “Australia Luxury Escapes” and I highly recommend this company for the best tours while in Australia. And now Grant Charlesworth of “Australia Luxury Escapes” on the 5 Things to Know When In Australia! So you’re travelling to The Great Southern Land, Terra Australis, Down Under or what is also commonly known as Australia. Before you embark on your tour of Australia, I have put together my list of the 5 most important things to know when travelling to this amazing country. Some would say that part of the charm associated with Australia is due to its distance away from most of the rest of the world. Others would say that it is just a bloody long way. From the West Coast of the USA its only 13 hours flying time. LA to Italy is 10 hours by comparison. 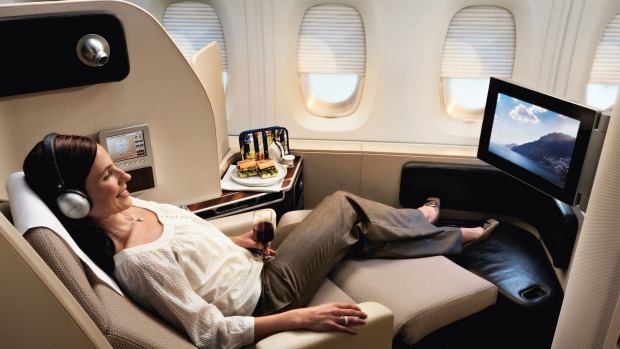 Whatever your muse be prepared to enjoy the the inside of a luxuriously appointed aircraft cabin for a number of hours catching up on the latest release movies while sipping a Chardonnay. Later kick back and enjoy a sleep before arriving in Australia relaxed and ready to enjoy everything on offer. Doesn’t sound too bad does it? Like most other countries you will also need to get a visitor VISA when travelling to Australia. The words G’day Mate can only truly be spoken by an Australian. I have heard overseas interpretations of this uniquely Australian greeting lead to International Incidents. In short just stick to hello and play it safe. Also try to avoid using words like beaver, bender or bonk, along with Randy, Fanny Pack or knob as their local meaning may be a little different than what you are used to. Instead here is some advice for blending in with the local crowd. The only time that Australians go to the bathroom is when they need to take a bath. If you need to use the bathroom not to take a bath though, you should ask to use the toilet instead. If your heading to Bondi, the word is pronounced “Bond eye” as opposed to “Bond ee”. And when you get there, whatever you do don’t ask where the Koala Bears are. Firstly they are just Koala’s (Marsupials, not bears) and secondly you wont see any in Bondi. To see a Koala in Sydney, or any other marsupial including Kangaroos, Wallabies and Wombats, take a visit to the close by Taronga Zoo. 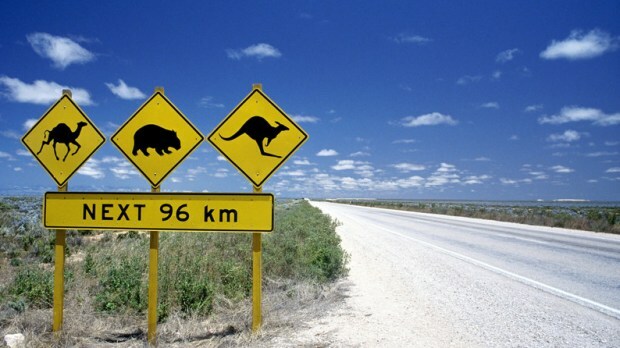 Australians drive their cars on the left hand side of the road. So when you are crossing the street, make sure you look to the right for oncoming traffic before crossing. Australian drivers also tend to be very courteous so a wave to the driver while crossing a pedestrian crossing never goes astray. Australians are very helpful by nature. And they love to give directions if you are lost or the best advice on how to get your train, tram or ferry ticket. If you are not sure about anything simply ask a passer by and they will fall over themselves to assist you. This is where a foreign accent will work wonders and will guarantee great service from locals. Australian’s love to hear accents other than their own. Although there are plenty of things to do in Sydney, I was once asked by an American couple the directions to The Great Barrier Reef from Sydney. After we sat down and looked at a map the couple soon realized it was more than walking distance and we made some alternative arrangements. Have you ever heard the phrase “When in Rome..”? Well when in Australia don’t be afraid to try some of our unique local food. One of our best inventions must be the meat pie. A savoury pie with fillings such as beef, chicken and curry. 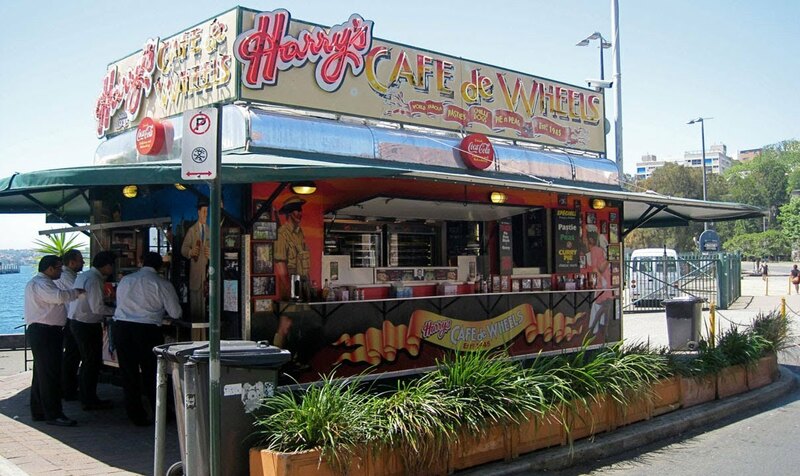 Meat Pies have become a delicay these days and one of my favourite places to buy them is Harrys Cafe de Wheels located in the harbourside suburb of Woolloomoolloo. If this doesn’t take your fancy, try a Chiko Roll. The fried pastry treat stuffed with cabbage, carrot and beef, was originally designed to be held in one hand at football games. It would be hard not to mention Vegemite as well here and I would recommend tasting it, just don’t eat a teaspoon full of it. Try a thin layer on toast with butter. It is an acquired taste. If you are looking for something sweeter try Pavlova. With its wispy meringue base, smothered in a layer of freshly whipped cream and topped with fresh fruit and tangy passion fruit pulp, it’s no wonder it has stayed firmly cemented on modern Australian menus. And lastly try a Lamington. Can you imagine sponge cake dipped in chocolate and rolled in coconut, well that’s a Lamington. The deluxe models may have a layer of cream in the middle as well, but either one is a great local delicacy. We hope these tips will come in handy on your next visit to the Land Downunder! Keep dreaming everyone! And travel!